Writers are as different as snowflakes. I don't mean the new meaning of "snowflake" that's unfortunately appearing on social media and isn't very nice! I mean the way we used to think of snowflakes, even five years ago--each one is delicate and different and beautiful. The same with writers--we are each delicate and different and beautiful. This is on my mind because I recently had a writing coach call with a writer, Kay, who was trying to decide if she should take my WOW! Novel Writing course ("A new session starts on Friday," Margo's dog Chester says, "Margo is embarrassed by shameless self-promotion, but I gotta eat!") in April, or if she should hire me at another time, or if she should not. As I talked to her, I had an a-ha moment. Yes, my a-ha moment was that writers are like snowflakes, but hold on--I'm gonna bring this all together with a point that will make this worthwhile. 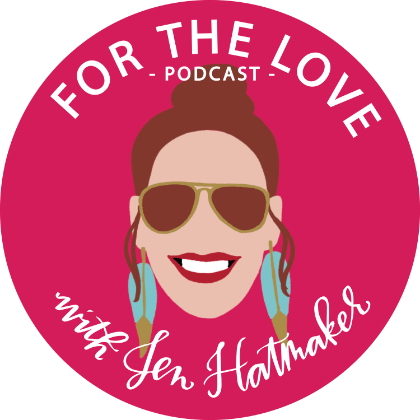 I recently listened to Jen Hatmaker's podcast For the Love, which I have been going on and on about to anyone who will listen. I am planning a blog post somewhere soon--my blog or here--on how podcasts saved my life right now. (Those of you who listen to Jen--yes, we are on a first-name basis even though she has no idea who I am; she's just that nice--understand why I said "saving my life right now.") Anyway...I am catching up because I didn't realize how amazingly awesome she is until recently. I listened to the Gretchen Rubin interview, and she talked about her book: The Four Tendencies. I kind of think, after listening to this interview, that every writer should read this book or at the very least, take the free quiz on Gretchen's site to find out your tendency, and here's why...NOT EVERY PERSON IS MOTIVATED BY THE SAME THING! So while talking to Kay (remember the writer from above), I asked her a series of questions about how much of her novel was finished and what she needed to produce the work she hoped to produce. Did she need a deadline? (My class provides that because a section is due every week.) Does she need feedback? (Also given by me through the class) Or does she just need accountability? An author friend or really any friend could provide that--a friend who would check in with her to see if she wrote the amount of time or the amount of words she said she was going to write. But first, Kay has to figure out how her writing process and motivation works. And that's what I'm saying to you today. You can read article after article about how to be more productive and how to finish a novel. But if you don't know if you need deadlines, short time increments, weekends, accountability partners, or what--then you won't know how to motivate yourself, and you may spend time and money on systems that don't work for you to finish whatever writing you want to finish. Take some time--use a journal, take Gretchen's quiz, think about how you completed things in the past--and then pick the best method that works for you, so you can accomplish your goals. Of course, my dog Chester hopes you want a deadline and some positive and constructive feedback in my class, but I want you to choose what honestly works for you! Margo L. Dill is an author, editor, and writing coach/teacher, living in St. Louis, MO. Sign up for her Writing a Novel With a Writing Coach class here. Margo--You should definitely give Chester some extra treats for his work. I think Kay decided for now to use an accountability partner, and really, it was the best choice for her. I think she will use my services sometime in the future when she has more written, and I can't wait to read what she does. Her story premise sounded awesome. I've been thinking lately how I have really read some amazing stories lately--like yours, Sioux. And I am lucky. I think reading all of these and seeing how hard people work really motivates me not to give up. You know I'm a big Jen Hatmaker fan, too! I love how she mixes things up by having different series so we're introduced to different people all the time. I think it was on her podcast that first got introduced to Rachel Hollis, actually. I think for me, I also need accountability. I can dream up all the projects I want, but if I'm not taking an online class or sharing my weekly goals with other people, nothing will ever get done. Especially now with a full-time job--I could use that as an excuse to not get any writing done but that would be a trap!